Eating pizza and losing weight go together like Netflix and work deadlines. They simply cannot coexist, right? Pizza is not exactly known for its health food qualities and we aren’t going to argue that it’s on par with an avocado salad or one of those insane green Hollywood smoothies. But we are going to make the case for allowing a bit of pizza love into your life, even while battling the bulge. The best part is that this isn’t some strange concoction of a nasty dough made with cauliflower, scraped bare of cheese. No, we’re talking your traditional margherita, complete with mozzarella and everything. You probably think we’re crazy right now, don’t you? But, hear us out. Losing weight eating pizza is actually no new thing. A chef in New York City managed to eat nothing but pizza and lost 100 pounds. A writer for Cosmopolitan magazine did something similar, just on a smaller scale. Eating pizza on a diet can be disastrous, but so can a bowl of rice if mixed with the wrong ingredients. It’s not pizza as a food that causes weight gain, but the type of pizza you eat. Pizza comes in all shapes as sizes; from the mighty calzone and doughy deep dish, to the traditional New York style or the world famous Chicago pizza pie. With each method of preparation comes a different measurement of healthiness. Depending on which pizza, you’ll be getting loaded with a different quantity of calories, fats and sugars. So what is the right type of pizza to be eating on a diet? You want to avoid any American-style pizza right off the bat. Those Chicago-style pizza pies look incredible, but they can be loaded with hundreds and hundreds of calories per slice. You also want to be avoiding pizzas with lots of toppings, keeping it simple — like a classic margarita — and maybe adding a few low-fat vegetables or lean meat is going to work in your favour. Even if you avoid all the heavy toppings and steer clear of a New York-style dieting nightmare, a classic base, 12-inch margherita from takeaway favourites Papa John’s is still going to set you back 1700 calories. But fear not. We wouldn’t drag you this deep into an article to pull the rug from under your feet. There is one particular type of pizza; one that uses your favourite ingredients while cutting calories, fats and sugars in half. We are talking about the Italian classic: a Neapolitan pizza. A Neapolitan will set you back around 850 calories in total, that being a full 12inch pizza. Share with somebody and dress with a side salad and you’ve got a hearty comfort meal consisting of your favourite treat, all with the same caloric quantities as a meal of rice and salmon. It isn’t some rare entity, either. 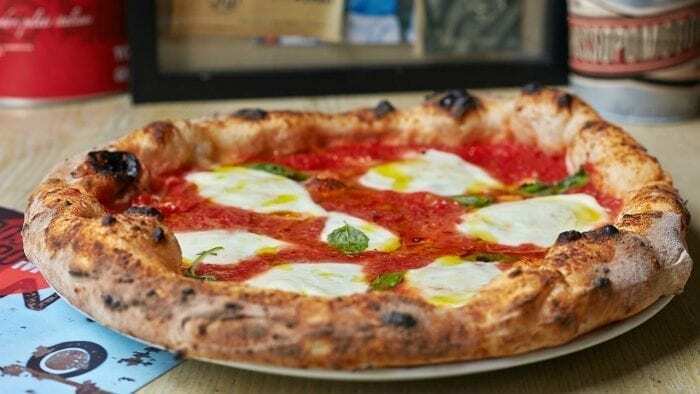 From the finest pizza restaurants London has to offer, to small, undiscovered gems in your own back garden, you are never too far away from a Neapolitan pizza. Sounds too good to be true, right? Well..
Neapolitan pizza isn’t just any old pizza. To be a true Neapolitan, the recipe must use specific ingredients and follow exact preparation methods to ensure its authenticity. An age-old recipe originally from the Italian town of Naples, this pizza isn’t just a healthier option, but also absolutely delicious. Why is a Neapolitan the healthy pizza option? The Ingredients: To make a Neapolitan pizza, you can’t just use any old ingredients, you need the ingredients. First, you’ve got to have a rich, floury base — 00 Caputo flour is what you need. No butter, milk or fats either; just flour, yeast, water and a pinch of salt. Next, you’ll need a tomato base. Canned tomato sauces are sugary, high in fat and generally not good for you. What you want is fresh tomato — but for a Neapolitan, even that won’t do. To make a true Neapolitan pizza, you must use San Marzano tomatoes sourced from the volcanic fields south of the legendary Mount Vesuvius. Not only are these tomatoes natural and healthy, but they also have a sweeter, less acidic flavour — owed partly to the rich volcanic soil in which they grow. Lastly, you’ll need mozzarella; buffalo mozzarella that has been sourced from cattle that roam the marshlands of the Campania and Lazio provinces on Italy’s western shore. This specific mozzarella has a deeper, fuller taste than your ordinary mozzarella cheese, which means you need far less of it to get that decadent, cheesy taste. The Method: Quality, natural ingredients are a big part of what makes a Neapolitan pizza so much healthier than other styles. But to really feel guilt-free about eating pizza on a diet, the proper preparation methods must be followed, too. A Neapolitan pizza should have a base around 3mm thick. This ensures the flavour of the dough comes through, but doesn’t overpower the toppings. 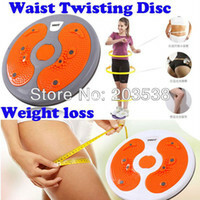 It’s also great for those losing weight, because too much dough can really pack on the pounds. A Neapolitan dough should also be left for up to 36 hours before cooking. During this time, the yeast cannibalises the sugars in the dough, leaving behind not only a more satisfying taste, but a less calorific pizza. There you have it. It is just that simple. A Neapolitan pizza can be an amazing treat that not only helps you keep the weight off, but also satisfies cravings for some deliciously naughty. If you’re looking to lose some weight, but don’t want to give up everyone good on the dinner table, this could be your answer! Weight Loss Wednesday Linky: Being Ill Will Not Stop Me! Weight Loss Wednesday: What The Heck! Weight Loss Wednesday Linky: Day 2 Again! An Updated Fitness Routine Really Does Work!